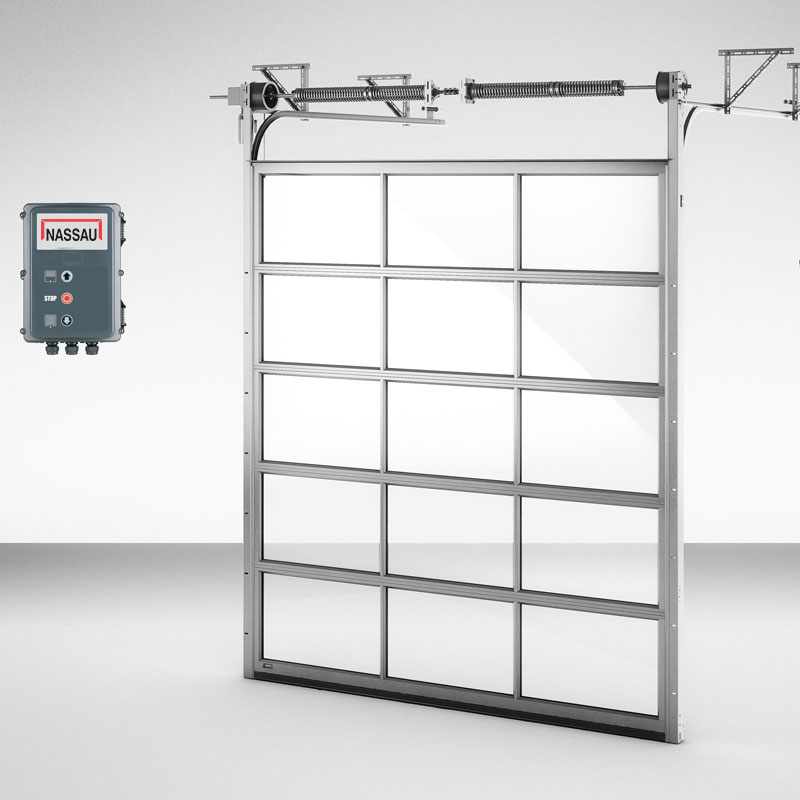 An industrial sectional door from NASSAU is almost indestructible, but sometimes the user’s needs changes and at NASSAU we have an extensive upgrade program that ensures that your needs can always be met. It’s even cheaper than you think, so contact NASSAU to get an offer for an upgrade of your door. The door is powered by proprietary NASSAU engines, which can be controlled by various types of control equipment, such as remote control, push button box, radar, photocells or pull switch. Read more about NASSAU’s automation section. There are many options for upgrading the door, as well as mounting electrical controls. By installing windows in the door, great light is achieved – with the result that the working climate becomes more comfortable. It is also possible to have a passdoor installed in an existing port. If the opening requirement changes, new springs that are calibrated for the new need can also be fitted. Last but not least, mounting new locks if the function of the building and the door changes.